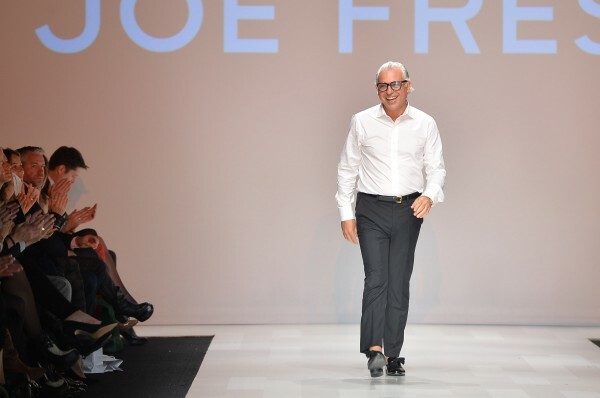 TORONTO — Known for his affordable line, Joseph Mimran of Joe Fresh, takes the more luxurious and artistic route as he channels his inspiration from New York-based artist, N. Dash. 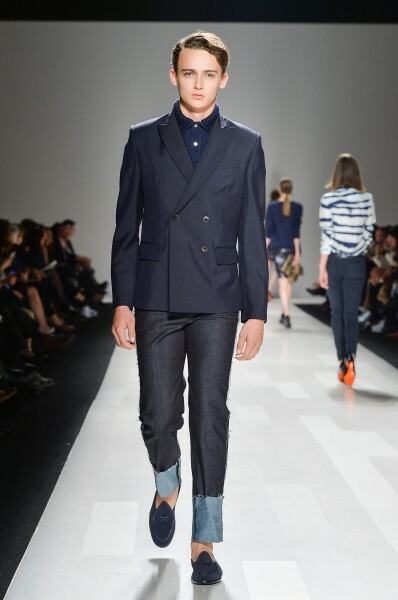 Dash’s artistic wall pieces covered in denim and linen inspired Mimran to use those same materials for his SS’14 collection, which he showcased during Toronto’s World MasterCard Fashion Week on Wednesday night. Taking hangings from the wall and transforming them to form-fitting, eye-catching, picture perfect pieces is what Mimran did best for this collection. 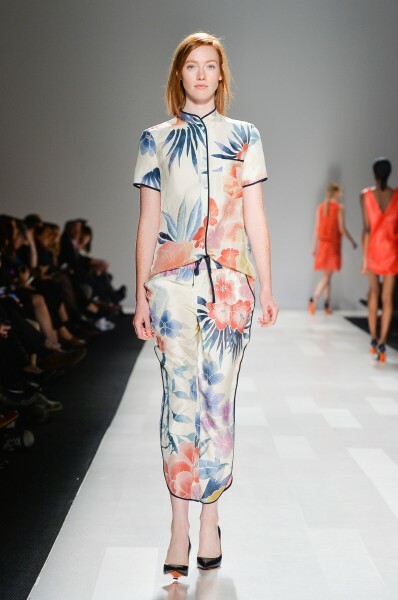 A sea of indigo/denim blue flooded the runway with accents of bright red and pinks, shimmering powder blues, floral print Asian-inspired silks, monochromatic black and white with a pop of orange underneath shoe soles. Mimran showed a collection of urban elegance with a hint of athletic wear as he meshed NYC’s Dash’s artistic background with reference to China’s elegant chinoiserie in a covetable, glistening Shantung silk suit. Flowing skirts, A-line dresses, deep-V necks, skinny leg trousers, shortened pencil skirts, tailored suits, oxford shirts, varsity jackets, and textured button-ups, crewnecks and blazers, stole the runway. Joe Fresh remains a line one can effortlessly dress up and down for any occasion for a reasonable price point. The use of a variety of crocodile and zebra prints meshed well with the luxurious raw silks and lacquered lace to give his collection a raw edge, while staying true to the roots of street chic. Mimran says he looks to constantly glean inspiration from young artists for his collections.